[Michigan state judo tournament. Photo: Keith DeLong] Most fights go to the ground, right, everyone’s heard a random statistic. If so it’s imperative you get back to your feet as soon as possible. By knowing what to do it will keep you from having to spend too long on the ground in a street fight. Learn how to fight on the ground so you can stay off the ground. It’s important for anybody looking to be able to defend themselves to know how to wrestle. This is in addition to using his or her limbs to throw strikes effectively. In a street self defense situation, it’s important to get back to standing as quickly as possible, due to the threat of multiple attackers. In certain situations, you could simply pin somebody down if the proper response called for it. There are many styles of martial arts to choose from, however, there are really only a handful or so of grappling arts that are really popular. Below are the common types that someone might consider when starting or continuing their martial arts journey. Each has pros and cons, depending on what you’re looking to get out of it. Anyone who’s watched the art on YouTube or Steven Seagal on TV where it’s commonly displayed as effective, has probably questioned it’s durability. It’s a wonderful athletic hobby for anyone looking to experience a light contact Japanese martial art steeped in tradition. If you are looking to learn effective self defense, look elsewhere. Most of aikido’s modern techniques are based off of ancient sword defense. For this reason, most of the movements start with a single hand attack that’s with a cooperating attacker. Unfortunately, any martial art that doesn’t practice on a resisting opponent cannot be trusted on the streets. Furthermore the wrist and joint manipulation techniques make up such a large percentage of the moves, there’s no flow in between. If something goes wrong, there isn’t enough practice in place to know how to react, there’s no wrestling. What you will pick up: General fitness level, learn how to fall properly (invaluable), joint manipulation techniques, dojo camaraderie, false sense of security. The goal and moves of Brazilian Jiu Jitsu are designed to use leverage and body physics to give a smaller, weaker opponents an advantage over a larger opponent. First given a world audience on November 1st, 2012, Brazilian Jiu Jitsu was made infamous when Royce Gracie won the first UFC. His family’s Gracie Jiu Jitsu proved to outdo the other style’s of martial arts. Royce would use a simple jab fake to close the range and grab onto his opponent dragging him to the ground, not quite in ‘Ippon’ judo fashion. Then over the course of seconds to minutes he’d submit his opponent, causing him to tap out, securing BJJ’s place at the front of the martial arts foreground. Ground fighting was given main stage on that day, however it had long been around before. A Japanese judoka Mitsuyo Maeda had been sent around the world by the art’s founder Jigoro Kano to prove its superiority in street fighting. Maeda retired undefeated in Brazil, teaching Carlos Gracie in the 1920s, who opened his own school with his brothers, including Helio in 1925. They perfected the ground fighting they had been taught and the “Gracie Challenge” followed. It accepted takers from all styles in no-holds-bar (NHB) fights. Over the next fifty years they evolved their system into a highly effective street fighting art. Today Gracie Jiu Jitsu or Brazilian Jiu Jitsu as it’s known has evolved into one of the fastest growing martial arts in the world. The cost is generally higher than other styles here, however, BJJ gyms are usually run more like businesses than a comparable judo club at lower cost. You’ll often find a variety of classes offered at different times throughout the day, and perhaps even an open door policy so you can come in and use the equipment anytime during hours. BJJ attracts a fair share of women, so ladies will usually find fellow women to train with. It’s also popular with kids. Schools usually train in both gi and no-gi technique, focuses on both sport and self defense. What you will pick up: Proven street self defense, high ability to fight on the ground, minimal takedown techniques and takedown defense. Judo, “the gentle way”, was established in 1882 by Jigaro Kano. He combined several classical styles of Japanese jiu jitsu, mainly Tenshin Shin’yo Ryu and the Kito Ryu, to form his more effective takedown and free flowing randori focused version called Kodokan Judo. After several years of superiority over traditional Japanese styles, Mataemon Tanabe, headmaster of an ancient style Fusen Ryu, challenged the judoka. His fighters were masters on the ground, with knowledge of chokes and armbars. They submitted all the judoka on the ground. Kano invited Tanabe to teach at the Kodokan and modern judo evolved. 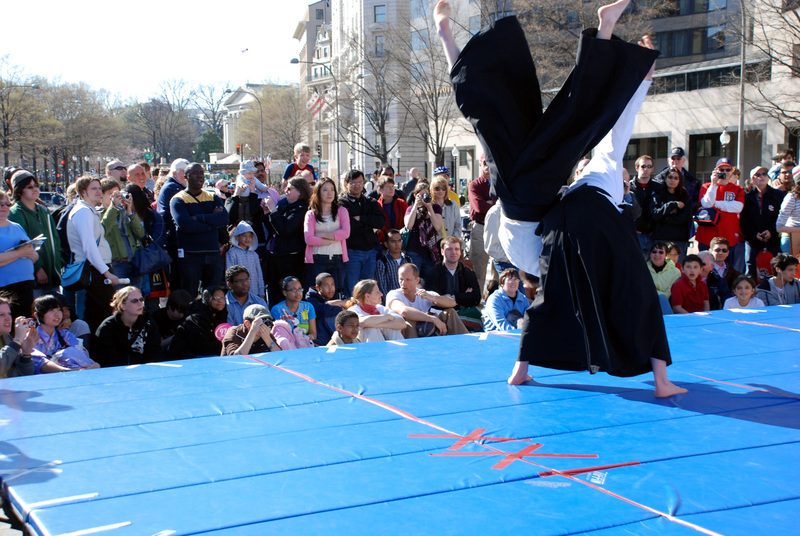 Because of judo’s philosophy, its techniques use momentum and body physics to allow a weaker opponent to trump a larger one. It’s one of the most popular martial arts in the world, with a range of demographics practicing, from young to old, and man to woman. Classes at most judo clubs are held a few times a week, either at a dojo or a community shared space, such as a gymnasium. This keeps the costs low. Judo joined the Olympics in 1964. Focus in class is almost always sport and tournament driven, ensuring a strong focus on fitness and technique. You will surely learn how to defend yourself on the street. Judo is a master of foot sweeps, hip tosses and shoulder throws. Because of the tournament focus, this prohibits classical judo techniques where the hands attack the lower body first, such as a wrestling double leg takedown or fireman’s carry. This decreases the realistically and effectiveness of judo on the street and against other styles of takedown arts. So when students practice “tach-waza” or stand up fighting, their mind is absent watching for certain types of takedowns. This is similar to a karate fighter who may not punch to the face in competition. If an “ippon” or complete throw is not awarded on the takedown, the match continues to the ground. As soon as action stalls, the ref stands things back up. Judokas can win by pinning their opponents on their backs, or submission via arm bar or choke. Leg locks, neck cranks and certain other joint locks are prohibited. While judo teaches “newaza” or ground fighting, if too much emphasis is placed on competition, students will “turtle up”, exposing their backs, the WORST position to be in. This is because if they can simply stall for 5 to 15 seconds, the referee will stand them back up. Even in practice of 3-5 minute rounds, some students will follow this tendency to return to the turtle position. Ditch the judo turtle if you play judo and you will be fine. What you will pick up: Learn to fall properly from all angles, solid grip fighting – a form of trapping, quality “judo style” take downs and takedown defense, decent level of ground fighting, explosive muscle memory, bad habit to ‘turtle up’ on ground if practicing strict tournament judo, vulnerability to wrestling style lower body takedowns and leg picks, as well as high level ground games. The Russian martial art of Sambo, which stands for “samozashchita bez oruzhiya”, translates to “self defense without weapons”. It emerged in the 1920s as the Soviet Red Army looked to strengthen their hand-to-hand combat style. While they blended all known styles and used what they deemed most effective, it began as a pollination of Viktor Spiridonov and Vasili Oshchepkov’s martial arts careers. In 1938 the USSR All-Union Sports Committee declared it an official sport. Today you’ll find both Sport Sambo and Combat Sambo. The former looks like a lax version of judo without chokes but open to more joint submission and gripping similar to catch wrestling. It’s highly effective as a wrestling base and all around self defense style. The latter was created for the military, and resembles more modern MMA, complete with kicking and punching. You’ll find some variations in the rulesets locally for competitions. Sambo practitioners don a kurtka, a jacket similar to the judo’s gi top, with slightly shorter sleeves and a cuffed shoulders. They also wear shorts. This creates a gripping style that forces the fighter more upright than that of wrestling, similar to a judoka or Greco-Roman wrestler. The advantage to the Comabt Sambo fighter is his or her experience in practicing the whole body from attacks during the clinch. Sambo fighters tend to be excellent takedown artists with a solid fundamental submission game that’s very aggressive. What you will pick up: Traditional judo style throws that include lower body wrestling takedowns, ground fighting, open guard, arm bars, leg locks, joint manipulation, ‘jack of all trades’ type art with striking often involved, effective transitioning between fighting ranges, limited number of schools. Wrestling consists of a broad range of styles, each with varying rulesets and focus. We’ll ignore professional wrestling, aka ‘wrastling’ or whatever WWF is, even though any of those guys or gals could probably defend themselves. Most Americans think of high school or collegiate wrestling, dubbed scholastic and collegiate wrestling, along with the unfortunate singlets that go with. The routine drills and discipline athletes gain at these levels is impressive. You can also find wrestling takedowns and submissions when training at MMA gyms or classes across the world. Any hybrid style that combines striking with grappling will teach submission wrestling techniques. Examples include Vale Tudo competitions in Brazil and Pankration from Ancient Greece. What you will pick up: Strong fitness level, ability to compete against all forms of grappling, possible jack of trades type, no practice in a gi, which some believe sharpens technique, limited schools to learn strictly collegiate or Roman-Greco wrestling, most combine submissions and a ruleset closer to BJJ. Once you find your passion, perfect the basics because they will forever serve you. By being able to safely fight (train) at 100% against resisting opponents (partners), these aforementioned grappling styles, minus aikido, put you in the upper echelon of self defense knowledge and training. Have you tried any of these grappling martial arts or others? Let us know. Remember to tap early, tap often! Fear the man who practiced 10,000 submissions once or the man who practiced 1 submission 10,000 times?! Matt is an avid writer and explorer, who loves to showcase this wild, wondrous world. Join him at Uncover Colorado for an insider's look at the Centennial State!